1. This is my overengineered drink caddy. It also includes pockets for sunglasses, two usb thumb drives, and a miscellaneous slot that I use for keys and/or usb cables. The vise grips were for a temporary fit up. I've replaced it with 2x #8 screws/platenuts since this photo was taken. 2. Replacement battery box for my EarthX. On top of the weight savings of dumping my PC680, I realized that the aluminum box that came with my -6 kit weighs a lot too. This one checks in at around 1 pound. Last edited by dtw_rv6 : 03-04-2017 at 05:49 AM. I have a lot of fun playing with the 3d printer, it also really can push a guy close to insanity. I can barely use a paper printer.....I am old! I never really thought I had ADD until I installed a camera on my printer for controlling it remotely. I'm usually watching it on my laptop out of the corner of my eye when eating dinner or watching the evening news. I used to do it because I hadn't learned how to reliably get good bed adhesion, but now it's just mesmerizing to watch my parts growing out of the nozzle. 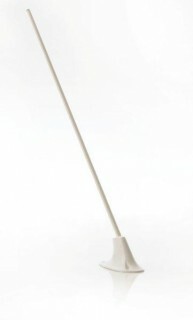 I have an antenna that looks like this. How can I make it look more like this and gain a few knots? Last edited by Steve Melton : 03-04-2017 at 09:43 AM. Good idea Steve maybe if you would model the antenna that you have then give it some Clarence and make a fairing in the shape that you want around it. Basically a hollow fairing slipped over the existing antenna and use the same mount holes to secure it. Last edited by Weasel : 03-04-2017 at 04:05 PM. Google the effective shape of a swept cylinder, 1st. You might find a better use of your time/plastic. didn't find much. 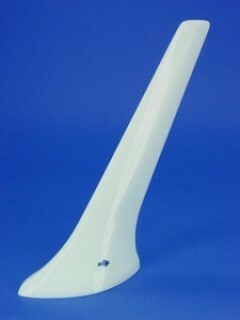 not much sweep on this antenna. Last edited by Steve Melton : 03-05-2017 at 03:43 AM. didn't find much. not much of sweep on this antenna. I'm on the road & can't find the reference, but take an imaginary slice through the antenna shaft, normal to the air flow. It will yield a section fairly close to a streamline, or teardrop, without the pointed tail. Not perfect, but much lower drag than a cylinder. IIRC, that's why they are swept. ok, I understand the concept. thanks. 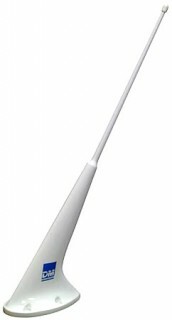 The antenna is designed to operate at speeds up to 350 mph and altitudes of 50,000 ft. It has a drag force of 0.85 lb. @ 250 mph.